Sarah Epstein spent her childhood drawing, daydreaming and cobbling together books at the kitchen table. A writer, illustrator and designer, she grew up in suburban Sydney and now lives in Melbourne with her husband and two sons. She is passionate about YA, especially the thriller genre, which is her favourite to red. 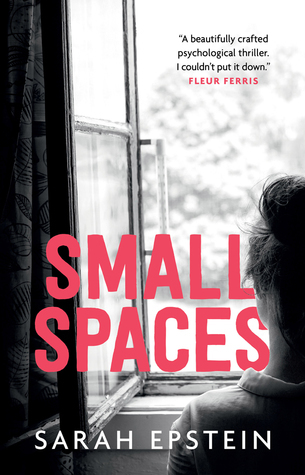 Small Spaces is her first novel. I have read, and loved, Small Spaces. My review will follow tomorrow – be sure to check it out!! !